Whitney Vickers | Greene County News The Parenting Network of the Family Youth Initiative has upgraded and expanded its facilities. The former location included one office, a baby store that doubled as a space to host group classes, as well as a small reception and waiting area. However, the network has moved into a new space on Mary Help of Christian Church grounds and has expanded to include three offices, a larger baby store and a bigger reception and waiting area. One of the new office will now host the group classes. Officials of the Parenting Network are preparing for the spaghetti dinner. The space with the yellow walls will be the baby store. Items were moved out of the former facility and have been in storage since September. Officials are preparing the items to go back into the store. This space will be the expanded waiting and reception area. 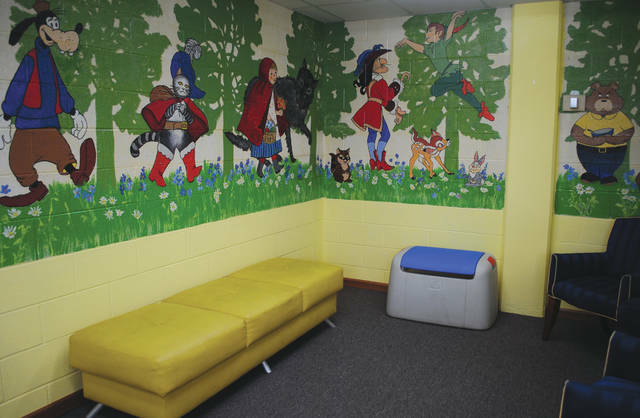 FAIRBORN — The Parenting Network of the Family Youth Initiative has upgraded and expanded its facilities. The organization is inviting community members to celebrate the expansion and see the changes at a Dedication and Blessing Spaghetti Dinner and Silent Auction Fundraiser 5-9 p.m. Saturday, Jan. 26. The Parenting Network is a resource for expecting families to receive mentoring and group classes. Mentoring takes place on a one-on-one basis and allows expecting moms and dads to learn about prenatal care and how to keep themselves healthy while pregnant. They also learn life skills such as budgeting, creating a menu and grocery shopping. After the baby is born, mentoring and group classes address parenting skills, stress management as well as preventing child sexual abuse and shaken baby syndrome. Parents-to-be can also “earn while they learn” in which they receive “baby bucks” for attending their lessons. 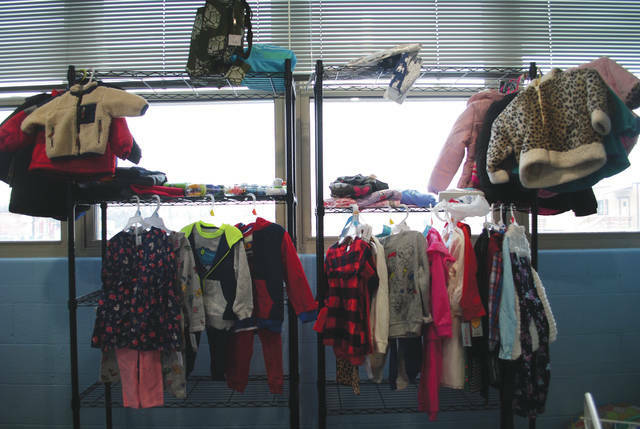 The “baby bucks” can be spent in the Parenting Network’s baby store which contains several baby items, such as cribs, car seats, swings, clothing, diapers and more. The Parenting Network, which includes locations in Fairborn, Springfield and New Carlisle, also gives referrals for free ultra sounds. Individuals are welcome to call on the Parenting Network for their assistance from the time they first observe a positive pregnancy test until the child is 5 years old. Many clients get involved with the Parenting Network after hearing about its free services through word of mouth. Other times, clients are referred by children’s services to “help them do better,” Stefanow said. Her hope is that the Parenting Network can build a stronger connection with local churches and children’s services so that it can reach even more individuals in need. Between the three locations, the Parenting Network served approximately 250 to 300 individuals per year; due to the need of volunteers, the Parenting Network is currently open about 10 hours per week. “We could be open more if we had more volunteers to mentor the moms and dads,” Stefanow said. To become a volunteer, individuals have to undergo a background check. She said the only prerequisite for volunteering as a mentor is that “they must love on the clients.” However, even if an individual is not a “people person,” the Parenting Network could still use their time completing paperwork and data entry, as well as manual labor as needed. Volunteers are not only needed at the Fairborn location, but at the Springfield and New Carlisle locations as well. Bi-lingual volunteers are particularly needed at the Springfield and New Carlisle locations. 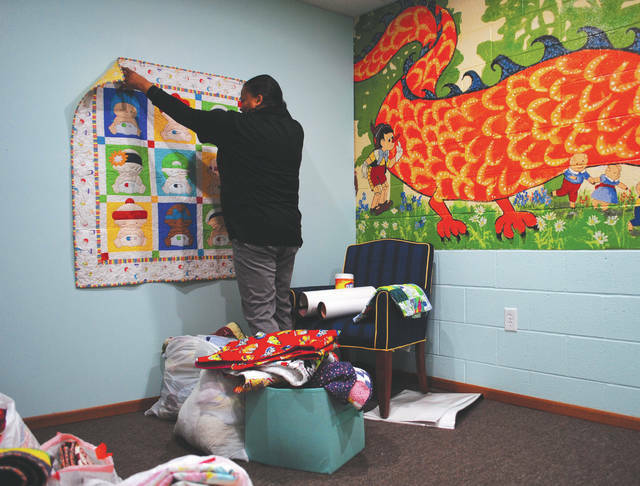 The Parenting Network of Fairborn was formerly located in a facility behind the Mary Help of Christians Church, 954 N. Central Ave., and included one office, a baby store that doubled as a space to host group classes, as well as a small reception and waiting area. Through the support and generosity of the church, the network has moved into a new space on church grounds and has expanded to include three offices, a larger baby store and a bigger reception and waiting area. One of the new office will now host the group classes. It will close next week, Jan. 21 through Jan. 25, to complete the remodeling. The dinner, slated for Saturday, Jan. 26, will open up the space to the community to celebrate the expansion. It will welcome clients again in February. The expansion project started in September. Stefanow said clients are pleased with having additional space. All are invited to celebrate the grand opening of the new facility at an event 5-9 p.m. Saturday, Jan. 26 at Mary Help of Christians Church, 954 N. Maple Ave. Just before the event takes place, Archbishop Dennis Shnurr of Cincinnati will celebrate mass at 4 p.m. and will be dedicating the new Parenting Network center. An authentic Italian dinner cooked up by the Knights of Columbus will take place after the dedication, followed by a fundraising silent auction. Individuals can register for the event by visiting www.fyiohio.org or calling 937-845-0403 and leaving a message including their name, phone number and how many adults and children will be coming. Registration ends Jan. 24.
https://www.fairborndailyherald.com/wp-content/uploads/sites/50/2019/01/web1_parentnet2.jpgWhitney Vickers | Greene County News The Parenting Network of the Family Youth Initiative has upgraded and expanded its facilities. The former location included one office, a baby store that doubled as a space to host group classes, as well as a small reception and waiting area. However, the network has moved into a new space on Mary Help of Christian Church grounds and has expanded to include three offices, a larger baby store and a bigger reception and waiting area. One of the new office will now host the group classes. https://www.fairborndailyherald.com/wp-content/uploads/sites/50/2019/01/web1_parentnet4.jpgOfficials of the Parenting Network are preparing for the spaghetti dinner. 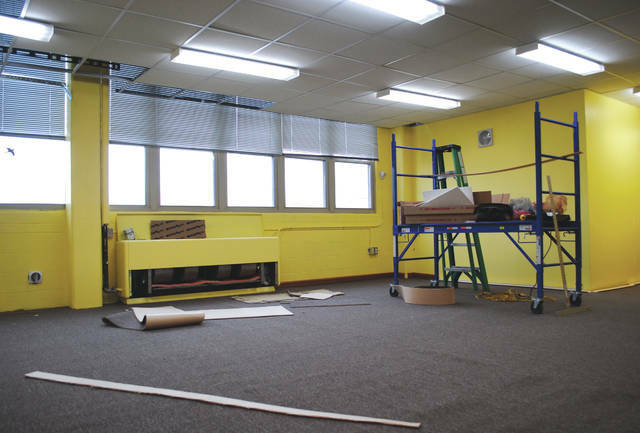 https://www.fairborndailyherald.com/wp-content/uploads/sites/50/2019/01/web1_parentnet1.jpgThe space with the yellow walls will be the baby store. Items were moved out of the former facility and have been in storage since September. Officials are preparing the items to go back into the store. https://www.fairborndailyherald.com/wp-content/uploads/sites/50/2019/01/web1_parentnet3.jpgThe space with the yellow walls will be the baby store. Items were moved out of the former facility and have been in storage since September. Officials are preparing the items to go back into the store. https://www.fairborndailyherald.com/wp-content/uploads/sites/50/2019/01/web1_parentnet5.jpgThis space will be the expanded waiting and reception area.